It seems that there is no stopping this 21-year old Igorot hunk from his shot to fame. 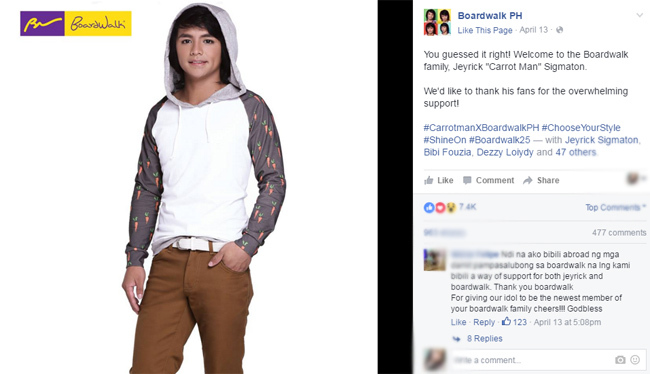 After some guestings on Kapuso shows like Bubble Gang, Sunday Pinasaya and Wowowin, Jeyrick Sigmaton, more famously known as Carrot Man, landed his first endorsement Deal. 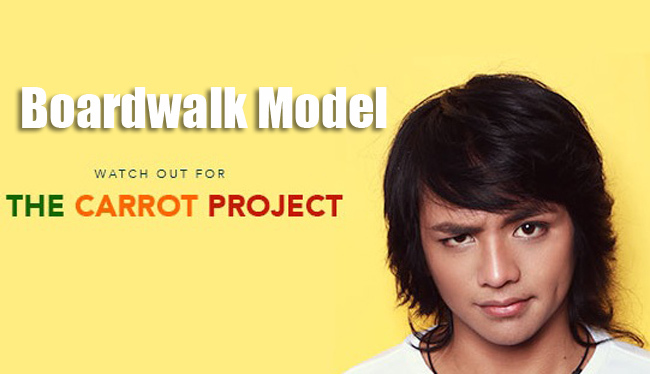 Apparently, the clothing and footwear company, Boardwalk, has also ridden the Carrot Man fever bandwagon. It was the first company to offer an endorsement deal to Jeyrick. Not just that, he was also modelling a collection exclusively made by world-renowned designer Avel Bacudio, one of Asia's most influential designers. Bacudio has been dressing the likes of Alden Richards, Kris Aquino and KC Concepcion. 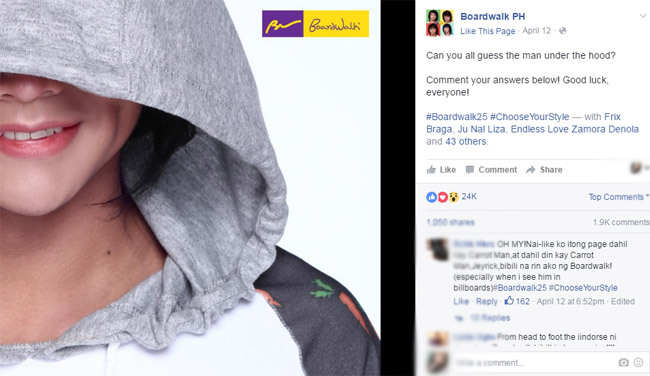 Boardwalk posted a teaser photo on its Instagram account of a hooded man with printed carrot details, which they confirmed to be Jeyrick Sigmaton on another post the next day. Jeyrick rose to fame when a tourist took some photos of him carrying a basket of carrots and posted it on Facebook. He was later became known as "Carrot Man" and became subject of countless local and international articles on the internet due to his strong resemblance to Asian superstars Lee Min Ho and Vic Zhou. On an interview, Jeyrick hopes to enter showbusiness to further help his family.